Book claims police involved in cash heists - SABC News - Breaking news, special reports, world, business, sport coverage of all South African current events. Africa's news leader. A new book asserts that police officers are involved in most cash-in-transit heists in the country. 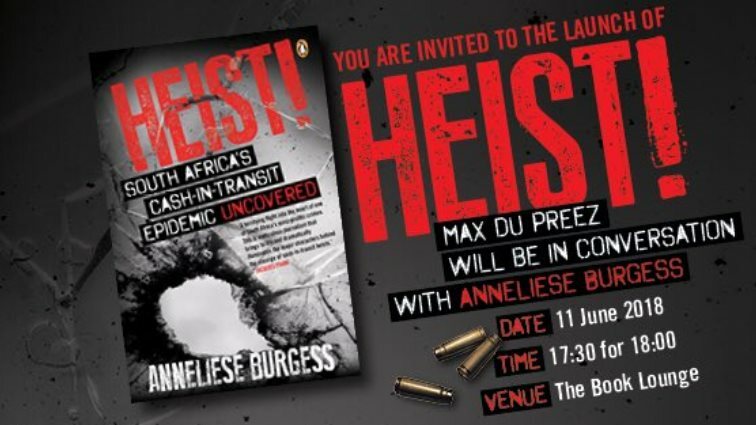 Anneliese Burgess has launched her book in Johannesburg as the country experiences a new spate of cash transit robberies. The book is titled – Heist: South Africa’s Cash in Transit Epidemic uncovered. Burgess says of every 10 heists, there are only three in which police are not involved. According to her research, police are involved in many of the cash heist robberies. “I went to look at 10 big heists over the last 20 years to try and understand how these incidents are executed and out of those 10 heists only three were done without the involvement of police officers. The involvement of these officers is extraordinary. There were cases were police officers were in charge of bringing guns to the scene and there are instances where they were in charge of taking money away from the scene,” says Burgess. “He is the brains of the entire operation and he was one of the first responders on the scene. The collusion and the involvement of the police is an incredibly important part of unravelling cash in transit heists,” says Burgess. This entry was posted on 31 May 2018,09:40AM at 9:40 AM and is filed under Lifestyle, South Africa, News, Homepage Featured Story Slider. You can follow any responses to this entry through the RSS 2.0 feed. Both comments and pings are currently closed.